See More Photos of New York Edge on Nonprofit Day! New York NY — On August 17th, National Nonprofit Day (NND) honors all the people, organizations and volunteers who bring selfless goodness to the underserved every day. 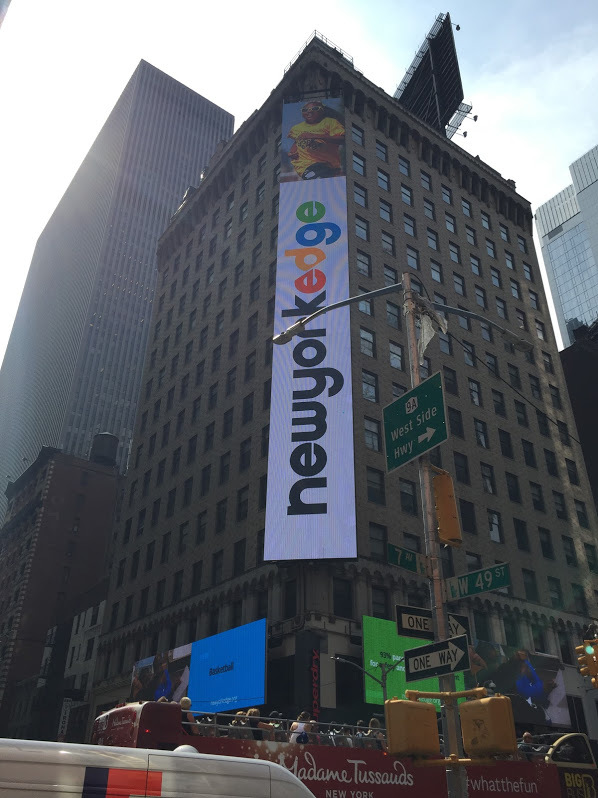 New York Edge — one of the metropolitan regions largest providers of afterschool programs — is among a select few non-profits to be showcased on billboards throughout Times Square on National Nonprofit Day. Under the direction of Five Tier, a Manhattan based company tasked with managing much of the content on billboards worldwide, National Nonprofit Day and its participants will be presented to hundreds of thousands of Times Square visitors throughout the day. Recognizing that nonprofits carry a deep responsibility to their primary altruistic goals, Sherita J. Herring created National Nonprofit Day to also honor the impact these organizations have around the world. For example, following the U.S. recession, in 2012 the nonprofit sector provided 5.4 of the nation’s entire GDP (gross domestic product), or $887.3 billion; employing nurses, web developers, lawyers, computer engineers and more, according to Johns Hopkins and Tactical Philanthropy Advisors reports. New York Edge gives back to the community by providing school-based afterschool programs designed to meet the needs and goals of under-resourced schools through customized, curriculum-based programming. Through rigorous, innovative programs such as High School Today, College Tomorrow and a range of other programs — including but not limited to chess club, fencing, robotics and dance — New York Edge expands beyond the traditional afterschool lane, acting as a springboard to life beyond high school. New York Edge, formerly known as the Sports & Arts in Schools Foundation (SASF), is a non-profit organization and the largest provider of school-based afterschool programs in New York City and the metropolitan region. With more than 26,000 students from over 130 sites in grades K-12, the organization provides under-resourced students with year-round programs to give them the edge needed to succeed. www.newyorkedge.org.